You would be hard pressed to find another 2018 film that has as much cultural and societal significance as Black Panther. A giant blockbuster comic book film, with a (nearly) all black cast, black writers, and a black director. If you have ever questioned whether representation on screen is truly important, just look at the philanthropic movements surrounding this movie. With the "Black Panther Challenge", money is being raised so that black youths--who could not afford to see it themselves--can go watch the film. The amount of love surrounding this movie almost matches the film's own innate messages, and it shows just how powerful the medium of film can be. This is exactly why movies are made. So while we take the time to discuss and analyze the film, it's important to have this preface of the significance of this movie, as that is far more important in the long run than all the tiny details and Easter Eggs Marvel fans will pick apart and debate. With that said, Black Panther is a really great movie. It personally is not in my top five Marvel Cinematic Universe movies like it is for some people, but it is a great film that stands out as being one of the more unique entries into the MCU, mainly due to Ryan Coogler's direction. 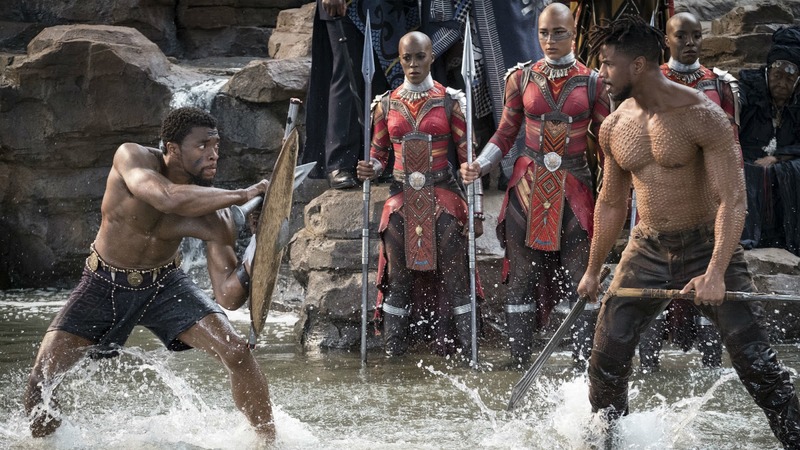 Coogler crafts a rather unique Marvel film with Black Panther, not just in the fact that it ventures outside the blinding male whiteness of pretty much all seventeen previous MCU movies. But the focus put on the narrative and characters as opposed to the action and the comedy, the themes of unity and togetherness, creates a movie that stands out among the others. It is a rallying cry, led by a powerful performance from Chadwick Boseman. He captures the elegance of the three-part character, a man who is equal aspects king, politician, and warrior. The film opens to T'Challa's (Boseman) initiation as king, after the death of his father (John Kani) in Captain America: Civil War, and the self-doubt he faces. T'Challa does not know how to be a king, but struggles even more with how to live on without being at his father's side. 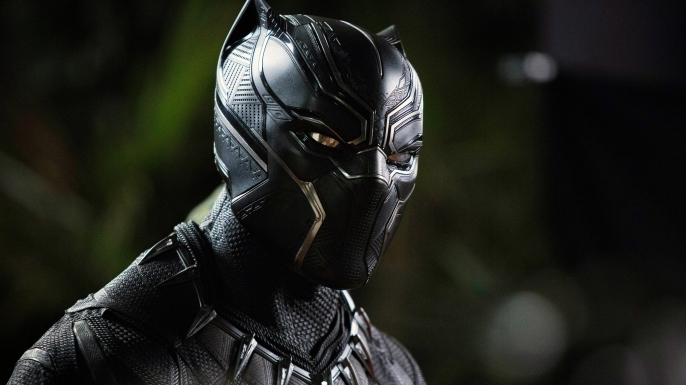 The first half of the film focuses primarily on developing T'Challa as a character, as he comes into his own as Wakanda's ruler. 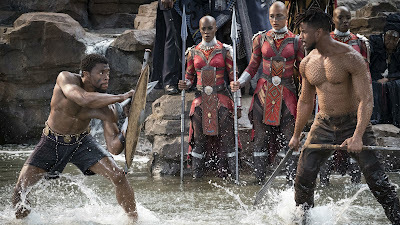 While it does not have as strong of a narrative drive as the second half of the movie, it is filled with great character moments and breathtaking action sequences, the most notable being a car chase involving Black Panther's pursuit of Wakandan terrorist, Ulysses Klaue (Andy Serkis). The film hits its stride, however, with the full introduction to Michael B. Jordan's character of Erik Killmonger, who threatens T'Challa's right to the throne. Once all is revealed about Killmonger, and his connection to T'Challa, the true story comes to the forefront, and brings the movie home to a strong finish. The film's greatest weakness is that the first half does not have the same clear-cut, driving narrative that the second half has. The first half's focus is certainly important, involving mostly set-up work and character development, though it feels rather directionless. The true story isn't fully introduced until roughly an hour and a half into the film, and that is just too late. 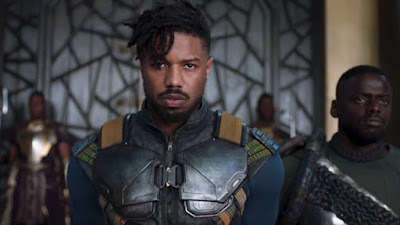 Had the story been introduced perhaps forty minutes in, then we would have been able to spend more time with Killmonger, and the film as a whole would have felt a lot more organic, instead of feeling like two separate movies stitched together. Despite this flaw in the story structure, Michael B. Jordan turns in another fantastic performance. He brings a unique perspective to Wakanda, something that gives the audience serious pause, and makes us question whether the villain is actually right. This is a sort of moral dilemma comic book movie viewers have not had since first witnessing Heath Ledger's Joker in The Dark Knight ten years ago. 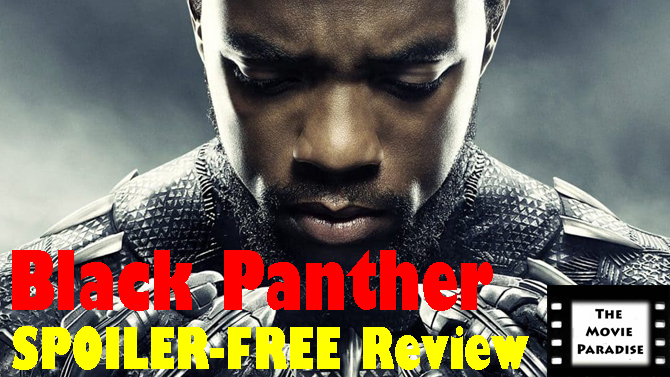 Overall, Black Panther is another smash success for Marvel, but is a far different film than they've ever done before. While previous movies have touched on mature themes in past, such as the political nature of say Captain America: Civil War, Black Panther handles its maturity in a far more open way. Through the juxtaposition of T'Challa and Killmonger's ideologies, we're given a true dilemma of who actually walks the correct moral line. The performances are all fantastic. Chadwick Boseman takes the work he did in Civil War and expands upon it. Black Panther also introduces to a series of new supporting characters who, at points, even take the focus of the film off of Boseman's hands. However, this works because of how well fleshed out these characters are, most notable being the characters played by Lupita Nyong'o, Daniel Kaluuya, Forest Whitaker, Winston Duke, and Letitia Wright. The structure of the film does introduce the main story a little too late, but the character work done in the first half of the movie, alongside the visceral action sequences, makes this bearable. In the end, while I personally don't think of Black Panther as one of the top five Marvel movies, it is without a doubt Marvel's most important movie, and one that absolutely transcends the comic book movie genre. What do you think? Have you seen Black Panther? If not, are you planning on seeing it? Leave your (spoiler-free) thoughts in the comments section below.